Thank you for your LOVE of DANCE! 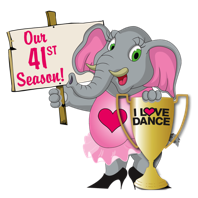 With THANKS and APPRECIATION for the past 40 YEARS of our Dance Competitions full of memories we cherish and participants we LOVE! 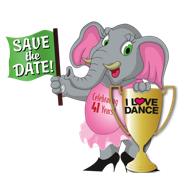 The 41st anniversary of I LOVE DANCE, brings you the best in dance competitions around the country. 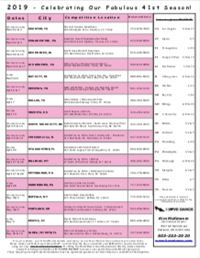 Our complete 2019 ILD Season Schedule is now available. 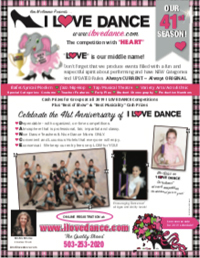 If you are new to I LOVE DANCE -- please join our mailing list. We look forward to welcoming you during our 41st Anniversary Season! The years have DANCED by with over 1,000,000 participants to date. PLEASE compare entry fees. I LOVE DANCE is economical and comes with the priceless assurance that we will not cancel. You can count on ILD to be reputable and dependable. 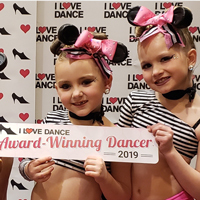 At I LOVE DANCE, we please Dance Teachers, Dancers, and their Parents with our organization and upbeat, positive atmosphere. 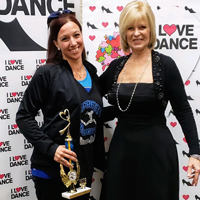 You'll find only NICE Dance Teachers and NICE Dance Moms participate. We have online registration for your convenience. You should plan to enter our well-attended competitions well before our thirty day entry deadline as many Cities will be completely FULL shows. Experience first-hand why we are the "Competition Of Choice" and known as both "The Competition With Heart" and "The Competition With Class." produces Dance Festivals, Competitions and Conventions throughout the United States, Canada and Australia. We award cash prizes, trophies, scholarships, and titles at each Competition. Dancers of all ages and ability levels can gain valuable performing experience through participation in our professionally produced events. We've been producing "Quality Shows" for over 40 Years! Trophy and Scholarship of $100 Cash Prize for "Best Of Show" will be awarded to one special routine... (could be any Dance Category, Section - solo, duo/trio or group - or ability level) not as a high-scoring award - but rather chosen by the Show Director as exemplifying exceptional creativity along with the LOVE OF DANCE. 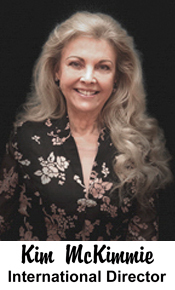 One Teacher will be awarded "Best Musicality" title and $100 cash prize for choreography and adaptation of a routine to an inspiring and outstanding musical selection. One Dancer will be named Junior or Senior Sweetheart at each Competition. Sweethearts receive title (recognized by choreographers worldwide) and trophy. 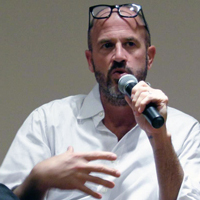 Judging panels that are highly-qualified and non-partial experts who give your performances their full attention!